They called him the 'angriest black man in America' . . . Celebrated and vilified the world over for his courageous but bitter fight to gain for millions of black men and women the equality and respect denied them by their white neighbours, Malcolm X inspired as many people in the United States as he caused to fear him. 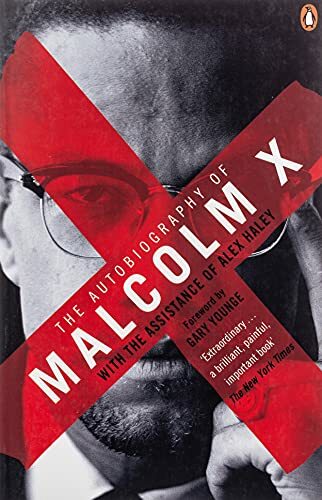 His remarkable autobiography, completed just before his murder in 1965, ranges from Omaha and Michigan to Harlem and Mecca, and tells of a young, disenfranchised man whose descent into drug addition, robbery and prison was only reversed by his belief in the rights struggle for black America, and his conversion to the Nation of Islam. Not only is this an enormously important record of the Civil Rights Movement in America, but also the scintillating story of a man who refused to allow anyone to tell him who or what he was.